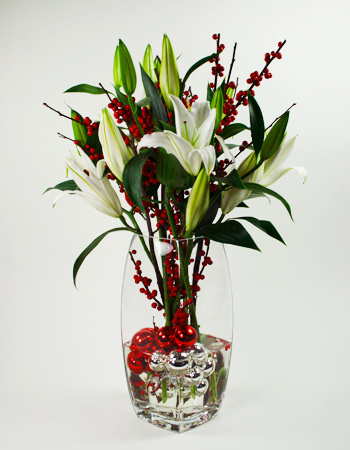 This tall, elegant vase is the perfect vessel for this gorgeous mix of white oriental lilies and red ilex berries, accented with red and silver glass bulbs in the vase. It is the perfect Holiday floral piece for your home or office party! Approximately 16"-18" in total height.